The New York Red Bulls have added German midfielder Marc Rzatkowski on loan from Red Bull Salzburg of the Austrian Bundesliga pending receipt of his P-1 visa and ITC, the club announced today. Rzatkowski, 27, will be with New York through the end of the 2018 season and occupy an international spot. The midfielder brings Champions League and cup-winning experience to New York with over 200 professional appearances. Rzatkowski has joined the Red Bulls in Oldsmar, Florida for preseason camp. "We are pleased to welcome Marc to New York," said Sporting Director Denis Hamlett. "Marc adds quality and experience to our group and has proven that he can play anywhere in the midfield. We look forward to him helping our team and sharing in our success this season." 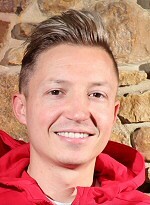 Rzatkowski joined Salzburg in July of 2016, making the move from FC St. Pauli, where he spent four seasons. He made 89 appearances for St. Pauli, scoring 13 goals and adding 13 assists. He has recorded five goals and five assists in 27 appearances for Salzburg, including three goals and three assists in the current season. "We are glad to have Marc on board," said Head Coach Jesse Marsch. "He brings experience to our locker room and can play in different positions within the midfield. He has qualities that we like and a personality that we think fits well within our group. He is excited to come to New York and be a part of our club." Rzatkowski scored a goal against Hibernians FC in Champions League qualification last summer. He won the Austrian league and Austrian Cup with Salzburg for the 2016/17 season. "I'm very happy to be here," said Rzatkowski. "I am excited to join the club and want to contribute to the team's success. I also want to continue to improve myself in every way, as a player on the field and also as a person." The Bochum, Germany, native came up through the VfL Bochum youth system before signing his first professional contract with the club in 2009.